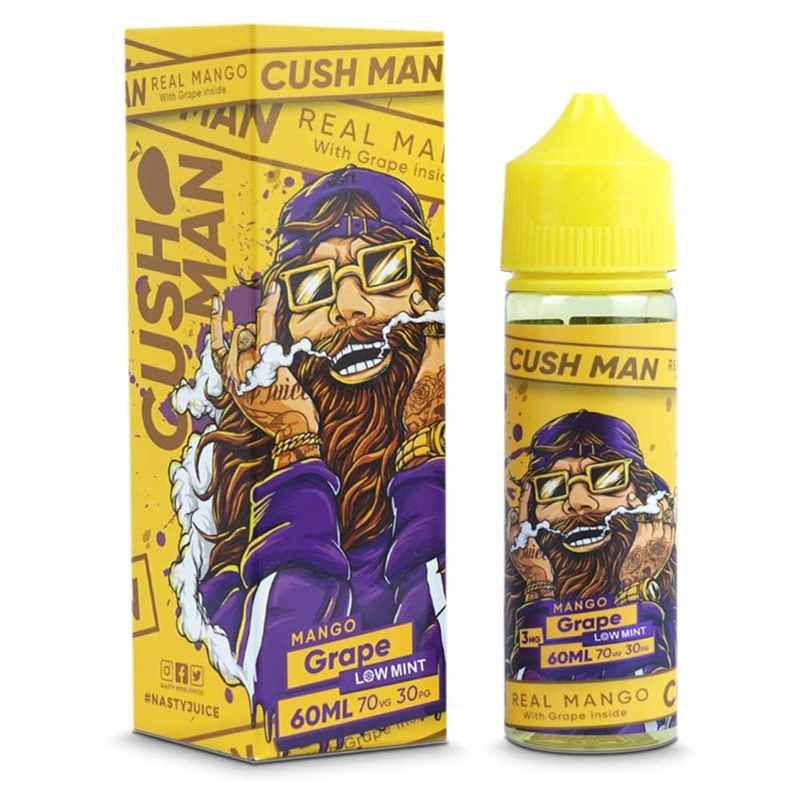 On this page you’ll find all the Nasty Juice ranges, with popular flavour highlighted and a handy guide to the flavour type and vape juice type. The original Nasty Juice range, this range of shortfill juices combine fresh, fruity flavours with a cool menthol base. Shortfills aren’t for everyone, and with these 10ml bottles Nasty Juice have created a range for vapers who prefer higher nicotine, more flavour and e-liquid compatible with lower powered devices. 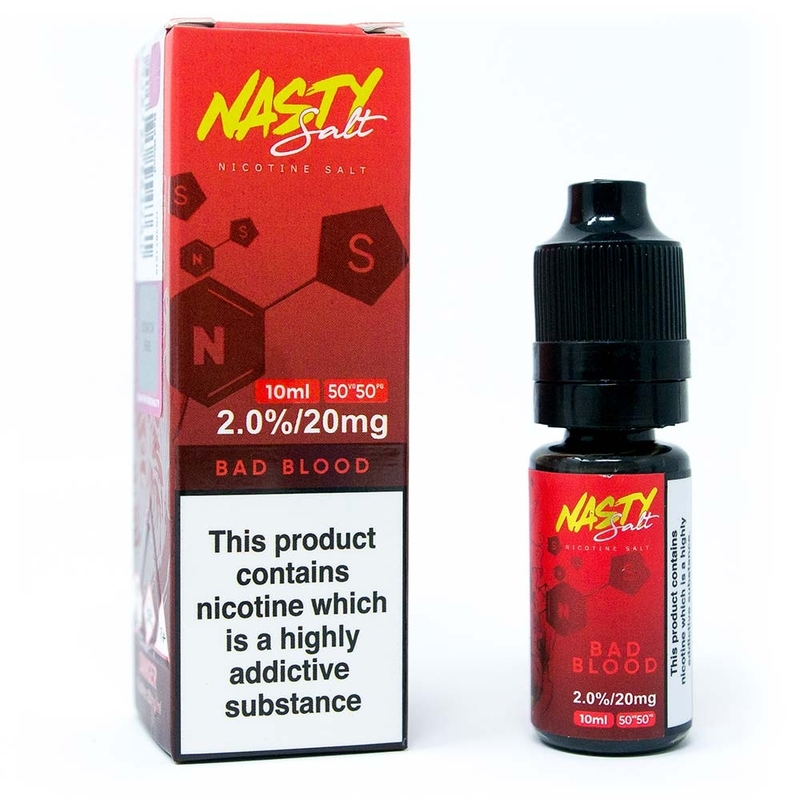 Nasty Juice have created their salts range for vapers who like a stronger nicotine hit without the harsh hit on the back of the throat that freebase juices give. 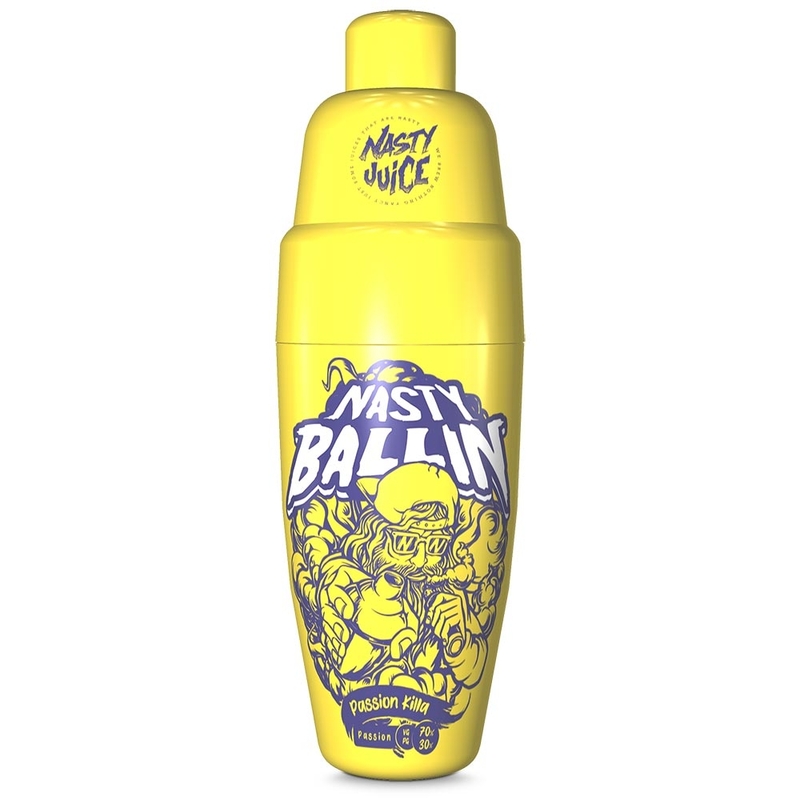 Each juice is based on a popular flavour from the Nasty Juice range. Nasty Juice’s tobacco range combines a premium tobacco taste with a subtle non-tobacco twist, with flavours such as vanilla and almond adding an intriguing complexity to the standard tobacco taste. 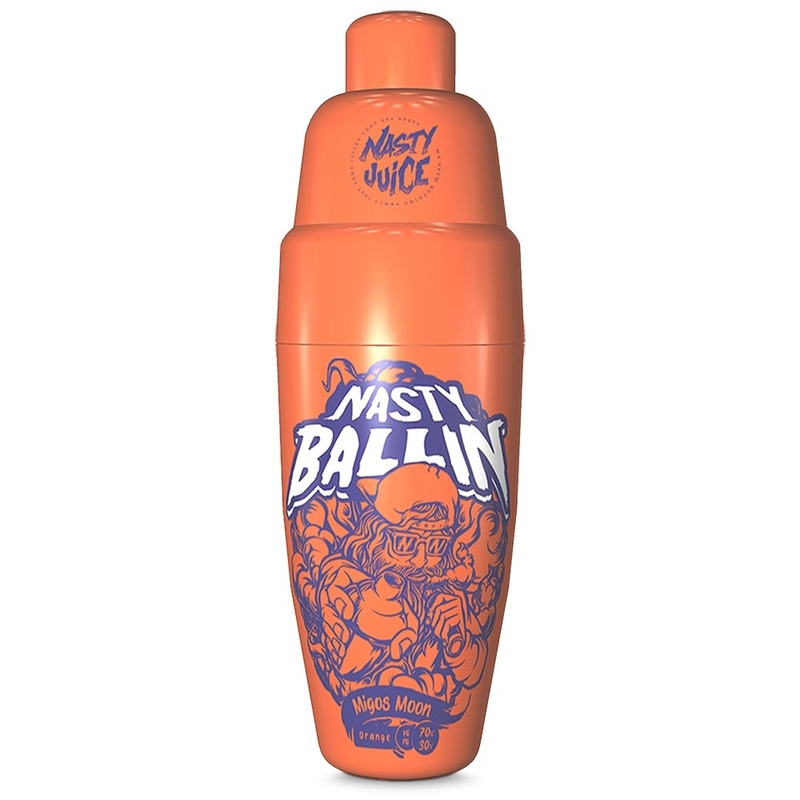 The Ballin Shortfill range replaces the usual mint base with a citric undertone. Modelled on cocktail mixers, each bottle contains two ball bearings to help mix in your nicotine shot. 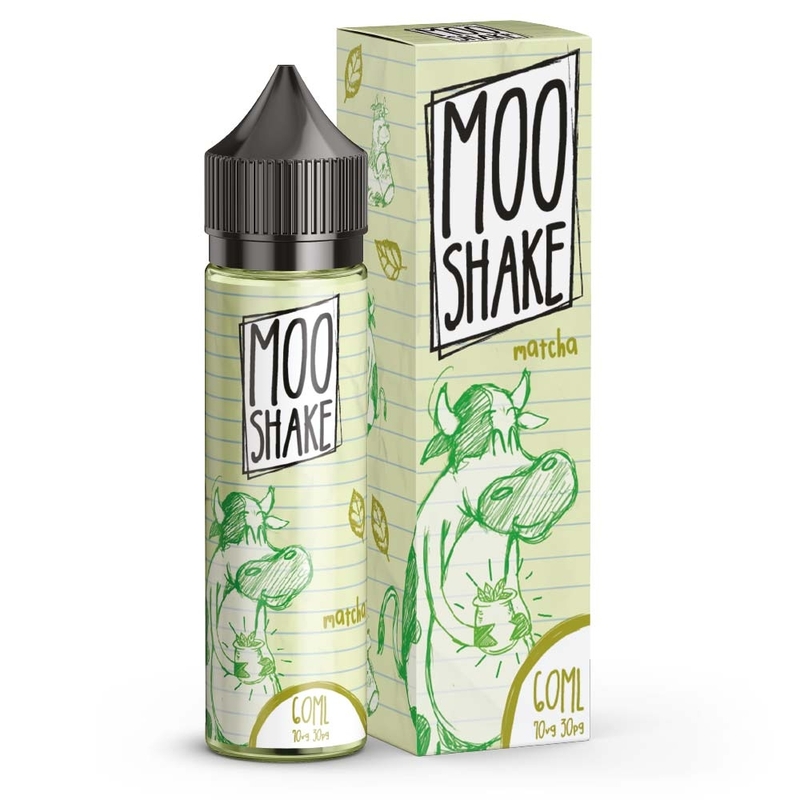 Nasty Juice have based Moo Shakes on the deliciously creamy goodness of milkshakes, with flavours varying from sweet banana to berry shake. Acid Juice combines the flavour of deliciously fresh fruits with the bite of sweet and sour candies. 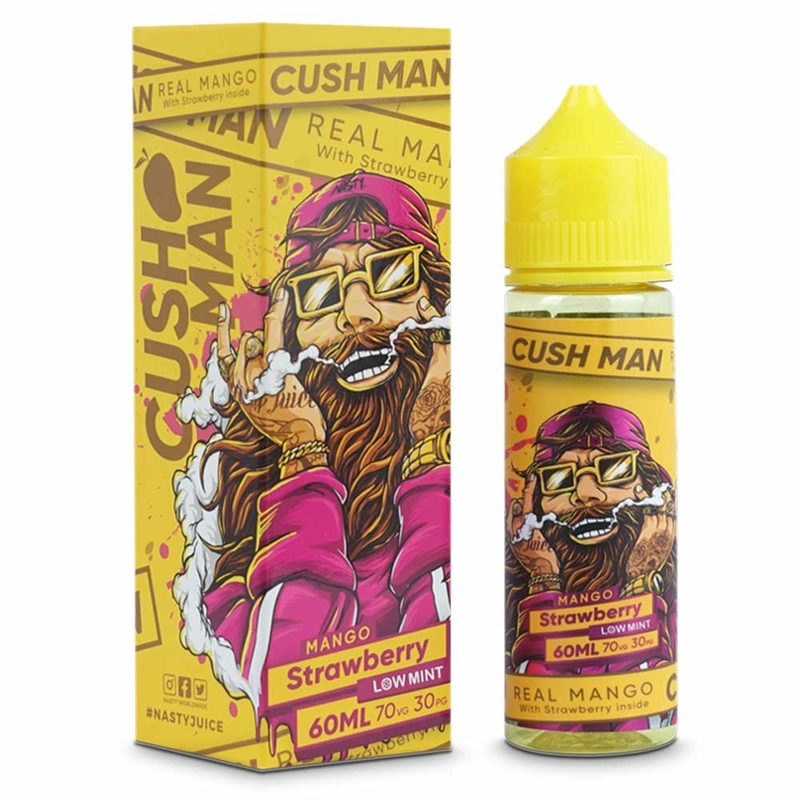 Based on the original Cush Man flavour, each vape juice in this range combines a fruit with a twist of mango for a deliciously tropical vape. 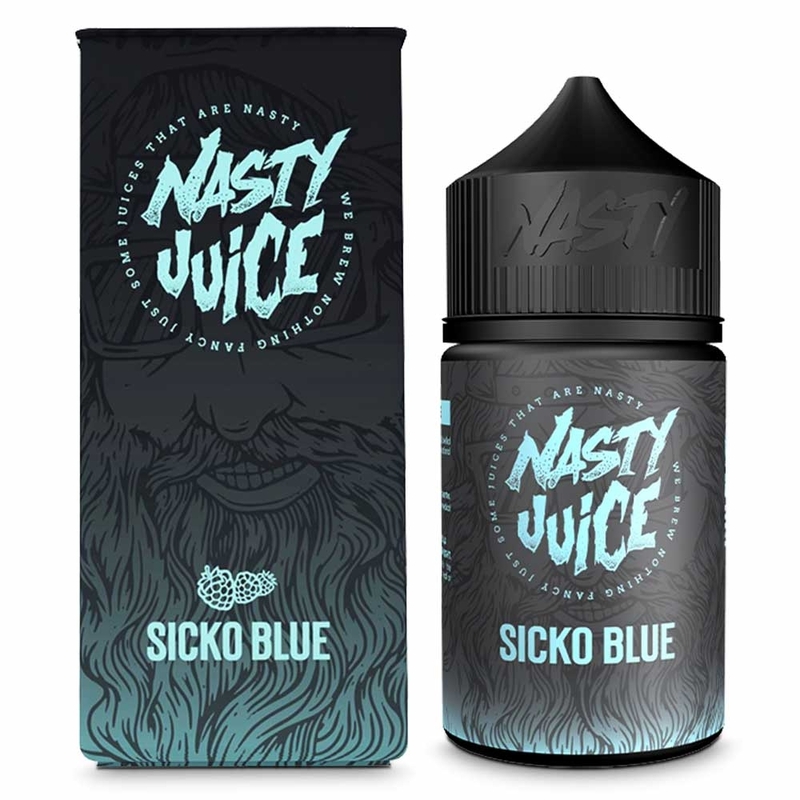 Each Nasty Berry vape juice is based on a different berry or berry combination flavour, from Sicko Blue, inspired by blue raspberries, to Stargazing, which captures the sweetness and earthiness of wild blue berries. Which Nasty Juice is right for you? 10ml E-Liquids: These smaller bottles of juice are great for mouth to lung vaping (when you hold vapour in your mouth before drawing it down into the lungs). With a high PG ratio, they work well in lower powered devices and with tanks with high resistance coils. They are also great for vapers who prefer a higher nicotine content. Salts: Vape juice with nicotine salt is designed to satisfy the vaper who needs a nicotine hit but prefers a smoother hit on the back of the throat. Shortfills: Shortfills are larger bottles of liquid. These don’t have any nicotine, so nicotine has to be added separately, following which you need to shake the bottle and leave it to rest before using it for the first time. Shortfills are ideal for vapers who use high powered devices and low resistance coils, who use a lot of e-liquid and who enjoy a low nicotine vape. 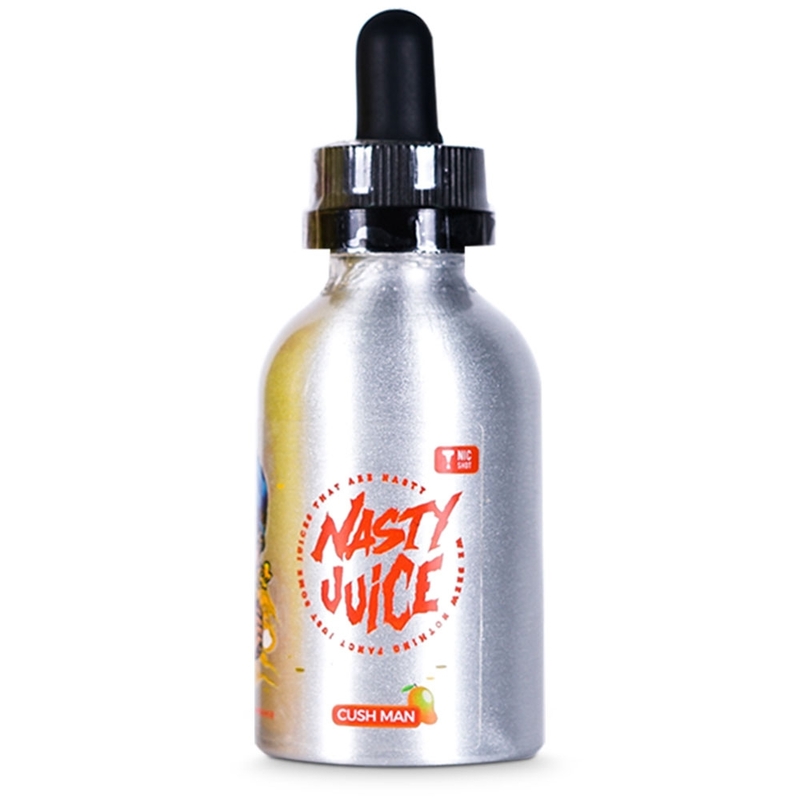 Nasty Juice started as a home grown company in Malaysia, launching their first e-liquid range in December 2015 and entering the UK marketing in March 2016. 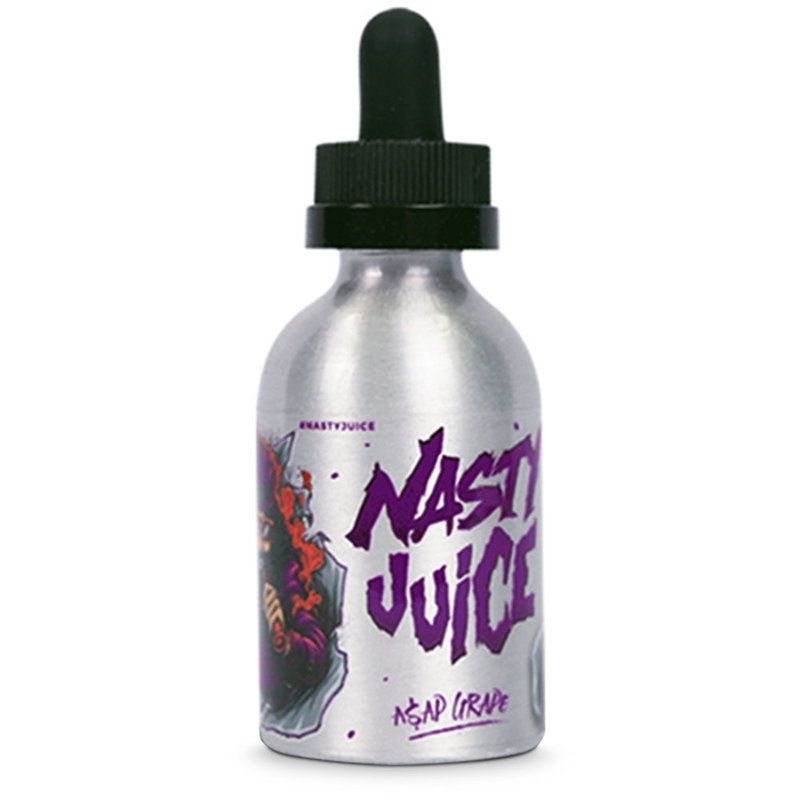 Since those humble beginnings Nasty Juice has exploded onto the vape scene to become one of the most popular vape juices in the world today. 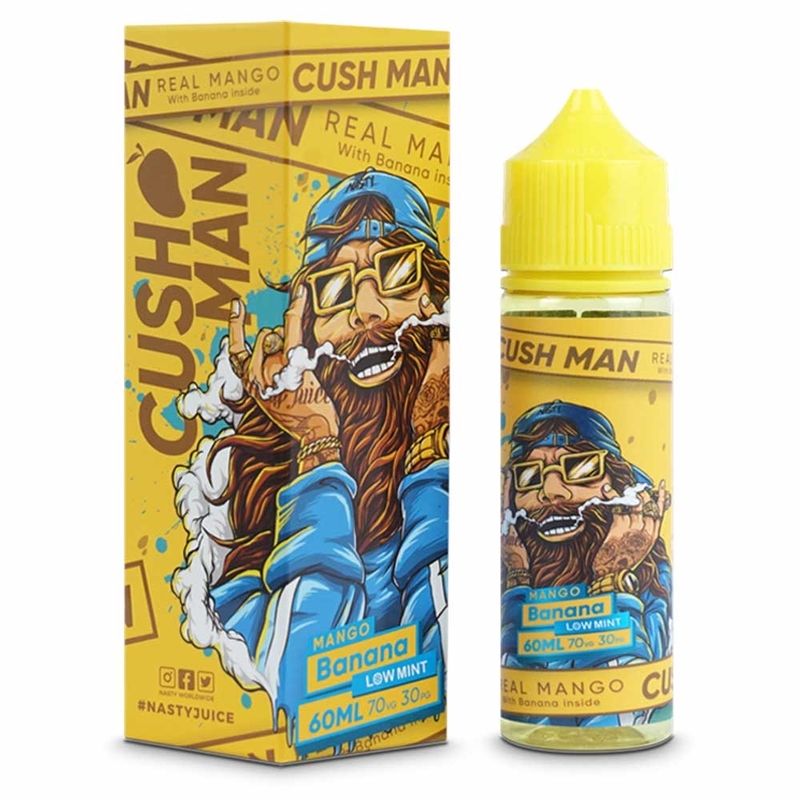 This Malaysian based company started off with a range of short-fills combining fruity flavour with a menthol base, but has rapidly branched off into a range of intriguing flavours, varying all the way from premium tobacco to cheeky milkshakes and their cocktail inspired Ballin range.